The Arts section of The Australian 08 January 2014 carried a report on the work called Chance by French artist Christian Boltanski. While one might be puzzled by the sale of ‘his life’ as ‘art’ streamed on-line to gambler David Walsh, founder of MONA in Hobart, the work Chance is an example of another approach to what is seen as ‘art’ today. Still, one wonders how the streaming is managed when Christian is away: is this then art as void, left for the observer to fill in? The Chance tactic seems to use analogies to interpret feelings and matters subtle and vague into facts - things, processes - where other extensions of issues that arise from the rational possibilities of the resulting assemblages are layered onto the outcomes as further material extensions to shape new analogies and develop other aspects of the original concept. The strategy holds a sense of relevance that the rational mind can analyse and appreciate, but emotionally it becomes more difficult to interpret as the things and processes manufacture a gulf of difference in feeling that distracts and distorts. 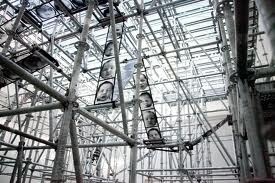 Here, within the framework of life, itemised as the tubular metal scaffold, chance is given its role by randomly stopping a newspaper-like run of 600 new-born images, faces of babies on an endless loop: like life itself it just keeps on going. Sometimes the analogies can be seen to be trite. Counters register births and deaths in the real world, as ‘real’ statistics based on averages, and a computer randomly stops and selects the face to be ‘born’ - as if this mechanism might be anything like the sense of giving birth or any prior selective opportunity. The whole becomes a mathematical interpretation of the process of addition and subtraction, a counting of events, managed with digital perfection. Emotions seem to stretch into a contrasting exclusivity that incorporates one aspect of the understanding only by diminishing the other. The emotional complexities of real births are much more involved and mixed than those that might arise from the experience of this system that reminds one of Sigfried Gidieon’s chicken processing plant illustrated in his Mechanization Takes Command published not long after the war in 1948, a work that was flavoured by the horror of hate. 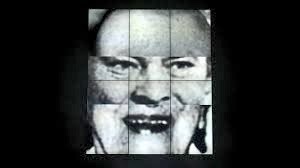 The text in The Australian does not explain it, but associated with this production line structure are images of aged faces segmented into horizontal thirds and mixed on other screens to present randomly collaged, composite portraits of ever-changing possibilities touching death, dismantling. This concept suggests a variety of matters that can be put into words derived from a review and analysis that describe the processes, and get to be fabricated into objects and systems, just like as the baby births do; but again there is a great emotional divide in these aspects of interpretation. Unlike death itself, the changing interlaying of portrait pieces is somewhat entertaining. Is this art useful? What does it intend to do? The diagrammatic conceptualisation of matters wreathed in an array of complex feelings seems to placate the enquiring mind that seeks explanations as part of the ‘appreciation,’ but can it change lives? Can it ‘touch’ one? Traditional art was rooted in matters symbolic, where the symbol, no mere sign, was in fact the thing itself being symbolised, one of its aspects. Chance seems to reference issues as signs do, by pointing to them, alluding to them diagrammatically. It may be very skilful and clever in its endeavour, but there is a great gap between a sign and a symbol. The lion might be used as a sign for a zoo, its logo, but traditionally it is seen as the sun. The relationship with the zoo tells us that there might be lions there as well as many other animals, complete with displays, cafes, and shops. As the symbol of the sun, the lion is the sun, an aspect of it – its colour, its blazing mane; its power; its authority: all of these qualities are seen to be those of the lion and the sun - hence the symbolic significance. There are many more such connections that involve feelings that are integral in their shared experience rather than remaining a separate, informative catalyst to project a message. Artworks like Chance do the latter. Have we lost our sensibilities to participate in an art where symbols thrive with vibrancy, resonating with life in a way that can invigorate and stimulate the gentle and silent aspects of our being: truly enrich us? There is a bland coldness here. Is this why Boltanski has ‘sold’ his life: does he see it as a commodity that is capable of analysis and resolution, even if this involves chance, a situation that can be expressed in a card game or in gambling itself, just as it is in life. But this fact does not turn the card game or gambling into a representation of or a diagram for life, or vice versa, although gambling seems to be the core of Mr. Walsh’s life: possibilities and statistics; and profits. Care, love and consideration appear to have no role here, yet they do in life. Where might these be located in art, in architecture - this necessity of being? Are we becoming just too rationally visual, uniquely introvert and logically one-dimensional in our singular extravert, promotional manner? Serendipity? Perhaps chance itself? After typing this piece, I looked up the night’s television programme. SBS is showing Borgen, an episode entitled What Is Lost Inwardly Must Be Gained Outwardly Part 1- 9:30pm, 08 January 2014. It seems to sum up the position perfectly. Is this our problem inward loss: outward seeking? Chance, it appears, is more interesting than necessity: less rigorous perhaps. Is it rigour that we are lacking, personal, intimate rigour: this necessity? FOUR years ago, French artist Christian Boltanski sold his life on an instalment plan to David Walsh, the Tasmanian gambler and founder of Hobart's Museum of Old and New Art. 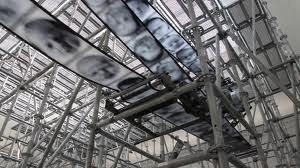 Walsh pays Boltanski a monthly, undisclosed fee for The Life of C.B., 2010, in which Boltanski is continuously filmed by cameras in his Paris studio and the footage streamed to MONA. "If I die in two years, he is going to win money, because he gets the piece for a low price," the 69-year-old said in Sydney yesterday. "If I die in 10 years, it is going to be awful for him." The seeming randomness of life is a theme of Boltanski's work, including his large-scale installation Chance, which goes on public view tomorrow at the Carriageworks arts centre in Sydney. 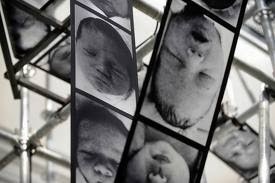 Made to resemble an enormous printing press, Chance runs a loop of photographs of about 600 newborn babies, the images taken from the births section of a Polish newspaper. After several minutes, an alarm sounds, the machine stops, and a computer selects the image of one tiny individual. 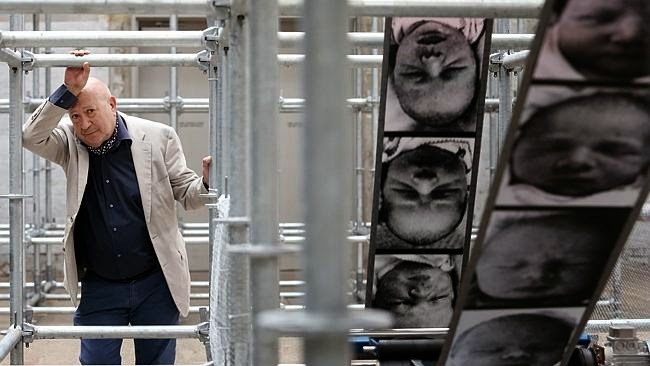 "You have all these possibilities of babies to be born and only one is chosen," Boltanski said. "That is the question of the piece: if you are religious, it is destiny. If you are not religious, it is only chance." At opposite ends of the installation, which stretches 50m along the length of the former rail workshop, are electronic displays showing real-time calculations of the world's births and deaths in a single day. Chance was commissioned for the French Pavilion at the 2011 Venice Biennale. The Sydney installation is the fourth time it has been shown. 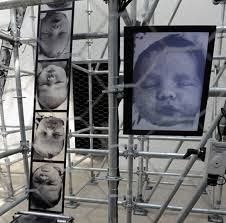 Boltanski's art practice since the late 1950s has included painting, photography, sculpture and installation. Some of his works are shrine-like memorials to victims of the Holocaust. 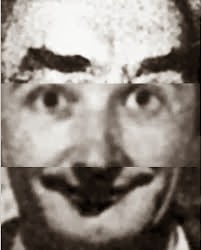 Boltanski said he met Walsh in Paris several years ago and decided to make an artwork for MONA. When they were discussing The Life of C.B. and the payment plan, Walsh told him that he never loses a bet. 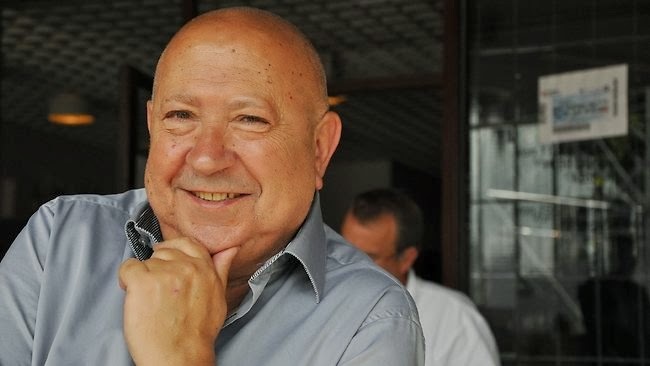 "When somebody believes he is stronger than destiny, in a way he is like the Devil, he is stronger than God," Boltanski said. "He is not the Devil at all, he is a very nice man." Chance is on display until March 23, in association with the Sydney Festival.